Sliding and balance: learning while having fun! 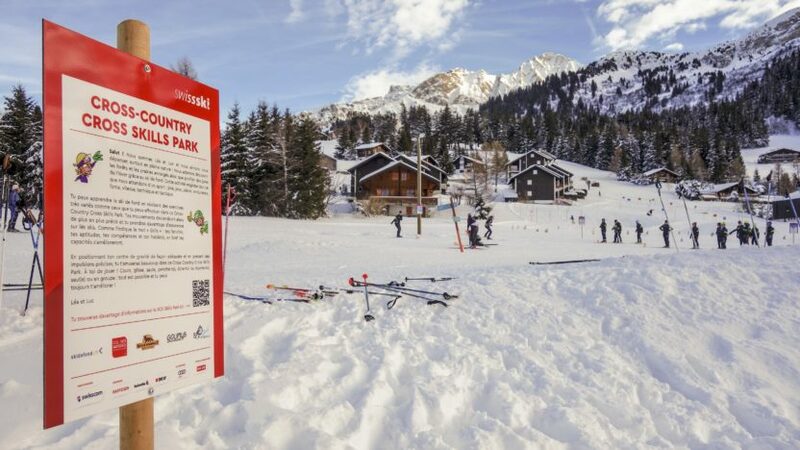 Le plateau des Mosses – La Lécherette extends its offer with a new play area for cross-country skiing lessons. Cross-country skiing is a dynamic sport that requires good physical fitness and technical skills. Located in front of the Maison de l’Espace Nordique, the new XCX Skills Park combines slalom, bends and bumps, forest of stakes or various obstacles to work on coordination and improve your technique in a very fun way. Designed by Nordic specialists, and adapted for everyone, this XCX Skills Park makes training more exciting or an attractive outing. It perfectly complements the offer of the Espace Nordique aux Mosses – La Lécherette. In each module, Léa and Luc explain through panels, the exercise so that it can be carried out with skill and pleasure.